Being a connected SME in the digital world means finding the most efficient ways to communicate and collaborate more easily and quickly. Here's a look at one of the popular cloud solutions, Office 365, designed to help improve team collaboration, storage and security. Software-as-a-Service (SaaS) solutions are online software that provides teams with a suite of tools for a monthly subscription rather than a hefty one-off payment. For SMEs looking to improve collaboration, prepare documents or spreadsheets remotely, store files and communicate securely, Microsoft Office 365 may very well be the right choice. 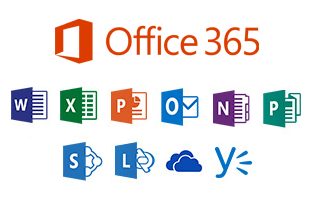 Microsoft Office 365 is about more than just synchronising files and sharing software; it's a digital suite of tools that allows users to collaborate, communicate and develop content and projects with teams anywhere, all without having to worry about needing a single server or special equipment. Microsoft Office is a full suite of productivity software, known and used by millions for writing reports (Word), creating presentations (PowerPoint) and managing spreadsheets (Excel). What Office 365 adds to its already well-known services are essential cloud tools to make collaboration and content management easier than ever. For example, if you were working on an Excel spreadsheet with another team member, normally you would have to work on it independently and send drafts back and forth via email. Instead, using Office 365, the same spreadsheet can be simultaneously opened, edited and easily managed. Another advantage of Office 365 is its mobile collaboration capabilities. While working with team members remotely across smartphones, tablets, and PCs, Office 365 makes it easy to make quick edits while on the road or away from the office. For SMEs, this convenience means fewer worries about where and when projects can be managed. Each user can install Office 365 on up to five PCs/Macs, five tablets and five phones, which means you can access your files anywhere with virtually any device. For SMEs just getting started in the cloud, it helps to combine productivity and storage solutions instead of keeping them separate. Rather than worrying about storing things in the right folders, Office 365 also provides a centralised cloud service called OneDrive that makes managing files as easy as collaborating and sharing with 1TB cloud storage. OneDrive ensures that you can access the latest drafts of all projects and files. This includes all Word documents and Excel spreadsheets, as well as any other files that have been stored within OneDrive. Files can be synchronised offline and available without Internet connection. Offline edits will automatically sync the next time you connect to the Internet. Office 365 is a cloud solution that remains encrypted and secure when collaborating with team members, no matter where they are. This is essential for any service that stores files, especially ones that include sensitive data such as client information. Another important feature for peace of mind is version control. If, for any reason, a file needs to be reverted to a previous version to recover anything, OneDrive makes it easy to manage versions and track the last person to edit that particular file. Office 365 is designed to bring the familiar Office apps with the added cloud benefits to customers as a single cloud service. With per user licencing, businesses can choose to add on users when their business grows. The flexibility to be able to mix and match different plans also allows them to fulfil the needs of the organisation. For SMEs new to the cloud, Office 365 is a great all-in-one way to get started. 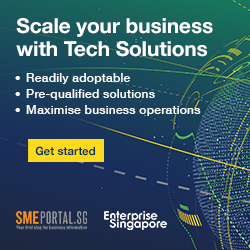 Cloud technology offers SMEs a wide range of collaboration tools that can help small businesses achieve a higher level of productivity. Singtel makes the user adoption easier with setup services and hands-on training workshops. With a dedicated technical helpdesk, businesses can move to Office 365 with ease. Click here to find out more.